You’ll be pulling to the side of the road for many photos on this road trip! This exciting self-drive tour gives you the opportunity to experience many of the biggest attractions in Norway. 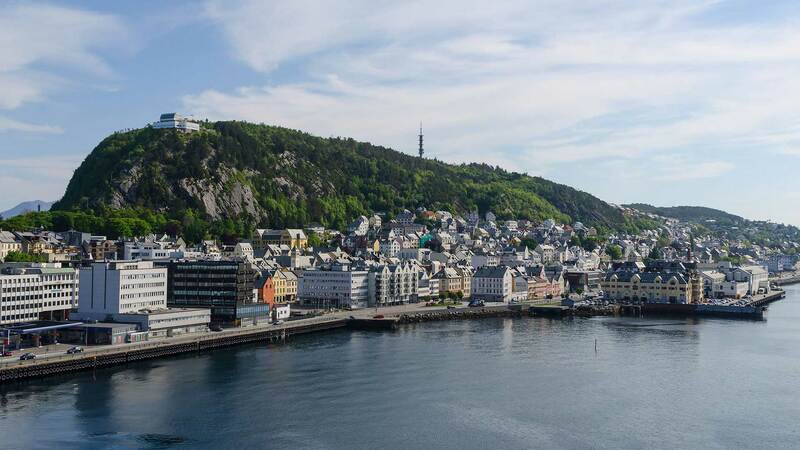 Your carefully crafted route takes you along scenic valleys, grand glaciers and stunning fjords, and includes such highlights as Bergen, Geirangerfjord, Jostedal Glacier, Ålesund, Lillehammer and more. From Geilo, you will continue the journey to Bergen. The drive will take you past the Hardangervidda National Park to the inner parts of beautiful Hardangerfjord, with its spectacular views. 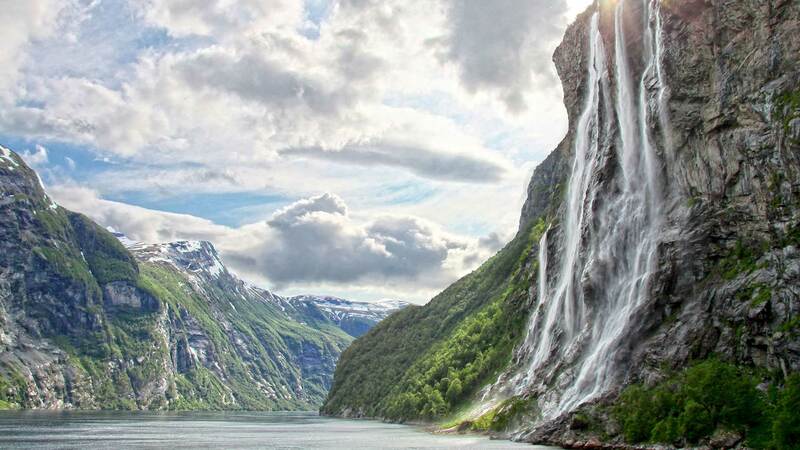 On your way you will pass such highlights as the impressive waterfall, Vøringfossen—the highest in Norway, with a 182-metre cascade—and the dramatic and narrow Måbødalen valley, along Eidfjord. 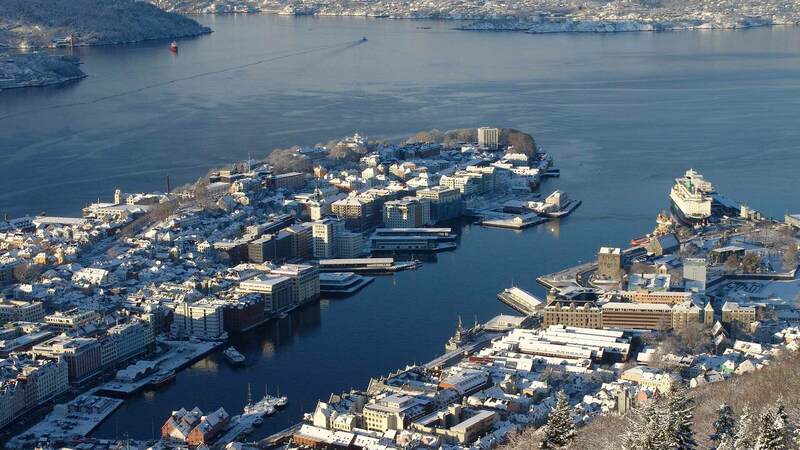 Bergen is a wonderful city, full of life and culture. 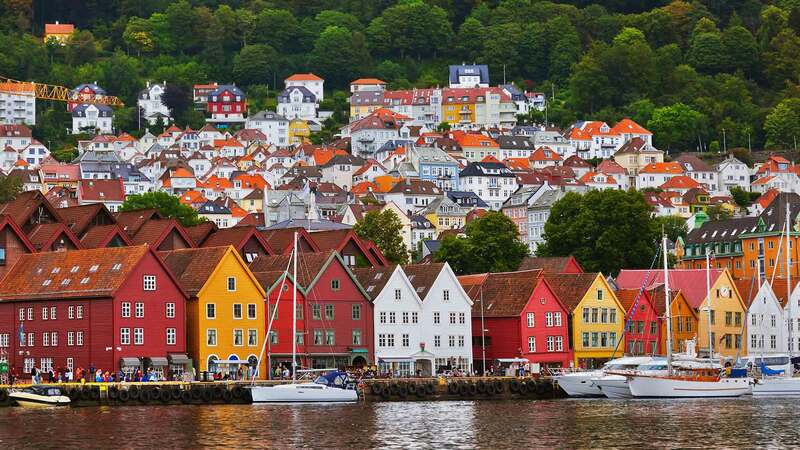 In this “must-visit” city, you will find Bryggen, listed by Unesco as a World Heritage site; exceptional old houses; a vibrant fish and flower market; cable cars offering stunning views; great museums; dynamic culture, and more. The day will start by heading to Norway’s adventure capital, Voss. 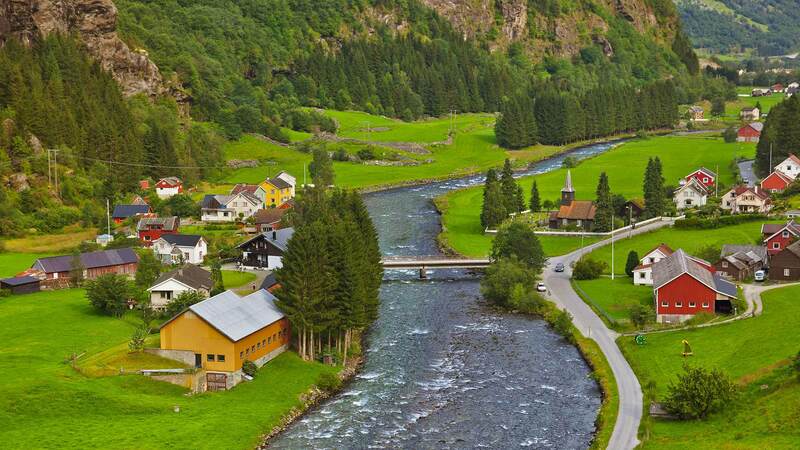 In Voss, you can try out one of the many thrilling activities the town and its hinterland have to offer. Another option would be to visit the beautiful Aurlandsfjorden, to experience the truly enjoyable train ride between Flåm and Myrdal. 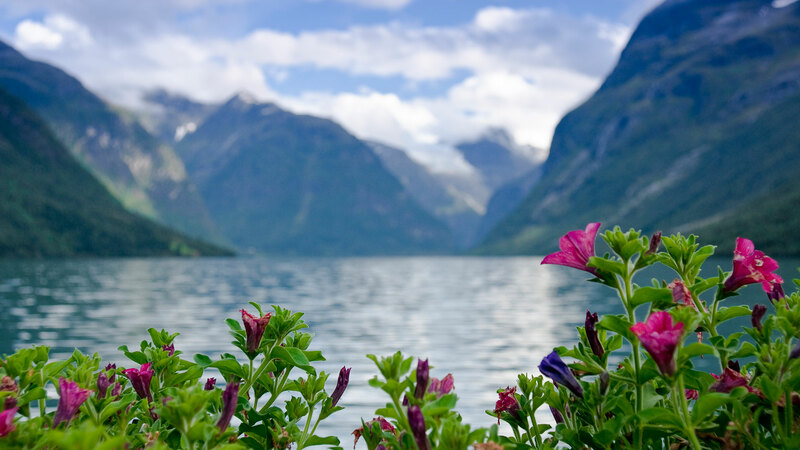 Your journey will continue as you head on to the Sognefjorden—Norway’s longest and deepest fjord—taking in such highlights as the town of Stalheim and Aurlandsdalen, before reaching Sogndal, your final destination of the day. Head out for another exciting day in the fjords and mountains of Norway. From Sogndal, drive the Fjærlands Road to see the graceful Jostedal Glacier, mainland Europe’s largest icecap. 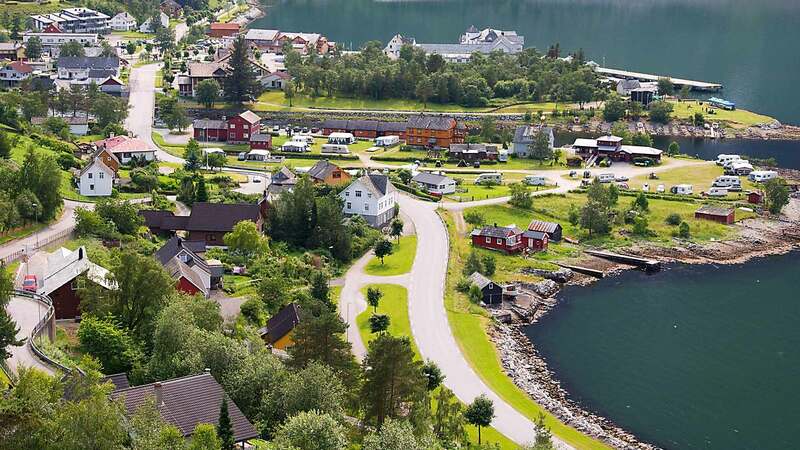 Then continue via Lake Jolster, Loen and Stryn to Hellesylt, where you will take the ferry on the lovely Geirangerfjord, which can easily be considered the most beautiful fjord in the world. 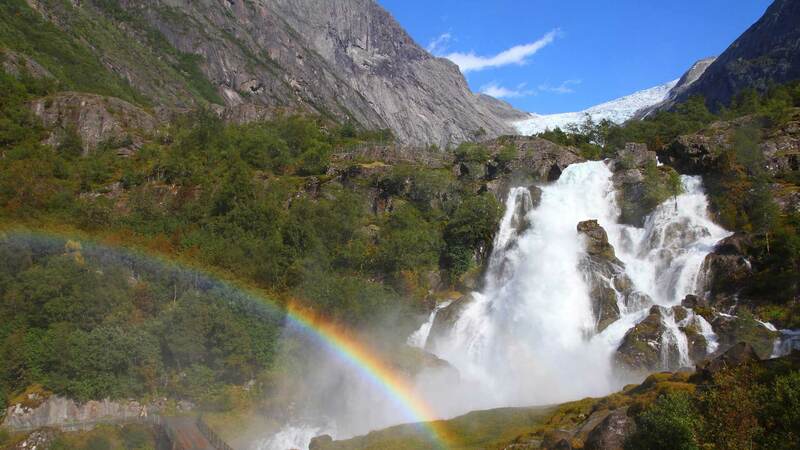 Here you will find magnificent and impressive waterfalls, such as the Seven Sisters and Bridal Veil. Enjoy a relaxing morning in Geiranger before taking the shortest road across Nordalsfjorden, and along Storfjorden to Ålesund. Spend the rest of the day exploring the beautiful Art Nouveau architecture in the city centre, or visiting the Atlantic Sea Park. If you want to learn more about the history of the town, visit the Sunnmøre Museum or the Jugend Center Museum. You should also walk the stairs up to the city mountain Aksla, to enjoy the stunning view from Fjellstua. Drive from Ålesund through Gudbrandsdalen to Lillehammer, the host town of the 1994 Winter Olympics. In Lillehammer, you can visit the Maihaugen open-air museum, the Olympic Museum and/or the Lysgårdsbakken Olympic Arena. Start the day in Lillehammer and then drive to Oslo, to close the circle. 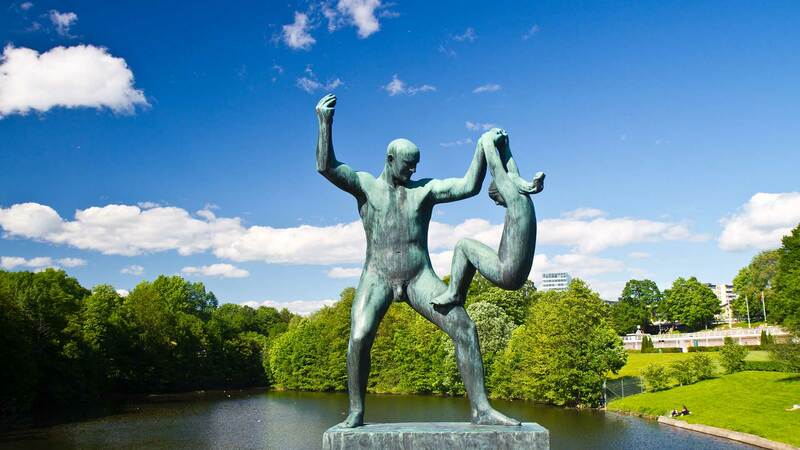 In Oslo, you can spend the rest of the day visiting Frognerparken, the Holmenkollen ski jumping arena, or just relax and enjoy a good meal at one of the capital’s many fabulous restaurants. Thank you Nordic Visitor for helping us to create a honeymoon trip to Norway that we'll never forget! Petra did an amazing job of lining up incredible sights and accommodations during our 11 day trip- thank you for all of your expertise and assistance. Despite the weather this was a thoroughly enjoyable holiday. Many thanks to Petra for her excellent organisation and responding quickly to our specific requirements. Our tour was a self guided tour. Accommodations were top notch truly. As for the rental, I wanted a fancier, convertible car (to enjoy the weather), but after actually going there, I noticed not many are available or on the road. The Toyota Yaris did the job wonderfully and did save me a lot of money (filled twice only despite the long distance I drove it). Really enjoyed the historic hotels. Everyone was friendly. Easy to work with Bjarni. He made excellent choices for our hotels. Everything went smoothly. I was very pleased with the whole experience. My thanks to Kolbrun who was always quick to reply to my emails and questions. She was very helpful throughout. I liked the hotels selected and the locations they were in. Overall the holiday was a great success and I am sure at some stage we will book another holiday through yourselves. We thoroughly enjoyed our trip.....Nordic visitor made everything stress-free. It was great to be able to pick up our rental car and check into accommodations, simply by handing them our reservation paper. All accommodations were very clean, comfortable, great breakfasts and most had a beautiful Norway view! Our trip could not have been any better thanks to you and your services. Sara was excellent in helping us to complete our trip. Also we made a mistake in our days and we needed 2 extra nights stay and they were taken care of right away and were excellent hotels. Your choice of hotels could not have been any better. We will be meeting with a friend here that has a travel agency and will be telling her about you and your wonderful service. Thank you for making our trip so enjoyable. We found all the people we were in contact most helpful and friendly.